Airlift starring Akshay Kumar and Nimrat Kaur made sure to give 2016 a smashing start. The film made it to the 100 crore club and also has been Akshay Kumar’s most successful film in the overseas circuits. The film has currently collected 124 crores nett in India and 178.56 crores gross. With a good run in the international markets, the film has made a collection of 45 crores from the overseas business. Airlift’s worldwide collections now stand at 223.56 crores. 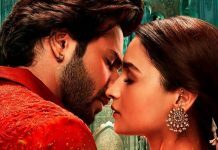 Kalank Box Office Day 4 Morning Occupancy: It’s Disappointing! 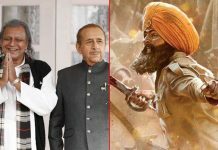 Kalank Box Office (3-Day Collections): 44.65 Crores VS The Record-Holders Of 2019! Kiara Advani Gets A Warm Welcome By Her Fans In Nashik!